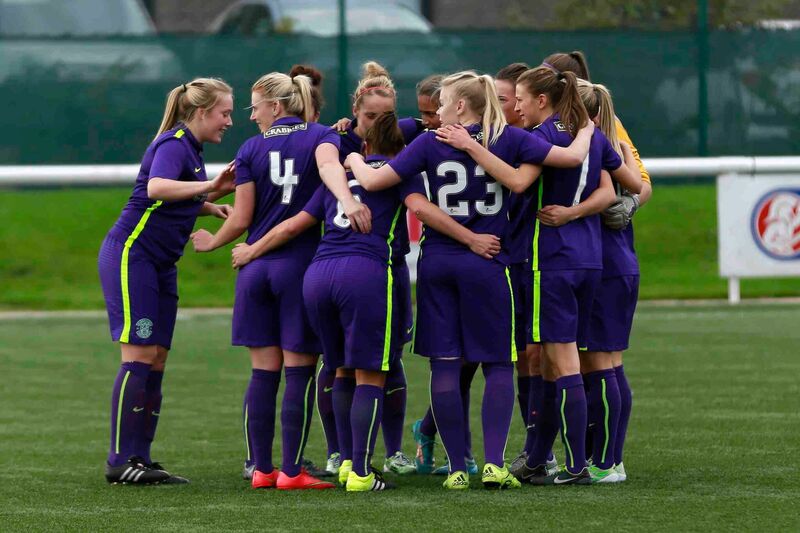 Hibernian Ladies beat Celtic 2-0 at Ainslie Park on Sunday to earn a place in the Woman’s Scottish Cup Final where they will face Glasgow City. Goals by former Celtic pair Chloe Arthur and Abigail Harrison secured the victory and after the game Hibs’ manager Chris Roberts told the club website: “We are all delighted to be in yet another final. It was a solid, dominant performance from the girls. “We had lots of possession and Celtic packed their defensive third to try and make it difficult for us. At the other end we limited them to only one semi-decent chance from a corner kick and that’s pleasing. “Chloe and Abi scored with two great finishes and it’s good to see them get on the scoresheet as they’ve been in terrific form lately. “Everyone performed well although the girls were a little hard on themselves after the game because they felt we should’ve scored more with the chances we created. “It’s great having Jo (Joelle Murray) back because she brings experience and stability to the side. “I had no hesitation in throwing her straight back into the action because she’s in great shape and has lots of big game experience with the national side and in the Champions League with Hibs. Hibernian: Fife, Arnot, Arthur, Brownlie, Harrison, Hunter, Murray, Richards, Robertson, Smith, Tweedie. Subs: Williamson, Cornet, Michie, Heron, Johnstone. The 2015 Women’s Scottish Cup final will take place on November 8th at Ainslie Park, Edinburgh.